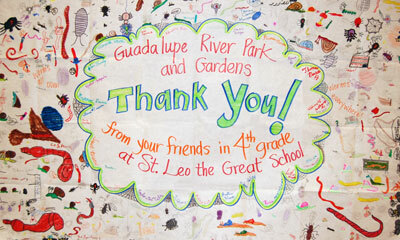 The Guadalupe River Park & Gardens is an education destination like no other. A natural oasis located in the heart of downtown San Jose, the Guadalupe River Park & Gardens (GRPG) features 254 acres of park that include the Heritage Rose Garden, the Historic Orchard, a community garden, and 2.6 miles of trail that runs adjacent to the Guadalupe River. The GRPG is a natural outdoor laboratory for science experiments, a creative and dynamic atmosphere for learning, and a perfect destination for field trips! Field trips cost $345 for up to 30 students with a $20 charge for each additional student up to a maximum of 35 students. In order to provide the best learning experience, and due to curriculum changes as we adapt to Next Generation Science Standards (NGSS), we cannot accommodate more than 35 students per field trip. Scholarships are available for Title I schools and special needs groups! If you are eligible, please indicate your interest on the Field Trip Request Form. Program and transportation scholarships are available to Title 1 schools as well as groups of people with special needs. All groups must provide at least one engaged, adult chaperone for every 10 students on the trip; the specific chaperone ratio for field trips for people with special needs will be determined on a case-by-case basis. Participants will be divided evenly into small groups that will rotate through exciting, hands-on activity stations! Garden Field Trips focus on the learning opportunities provided by our Historic Orchard and Heritage Rose Garden. 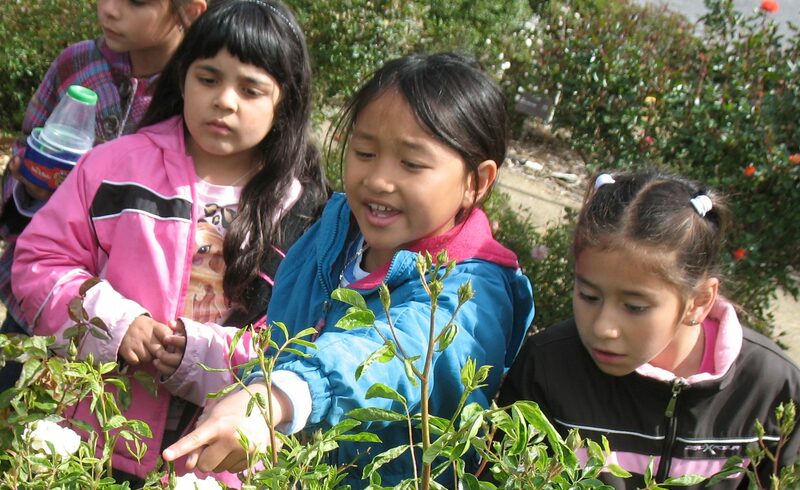 Every Garden Field Trip includes tours of the Historic Orchard and Heritage Rose Garden along with grade-specific activities designed to incorporate Next Generation Science Standards. Some examples of grade-specific activities include rose dissection, a simulated archaeological dig of the local area, and creating personalized fruit labels while learning about food preservation. River Field Trips encourage a deeper understanding of the riparian corridor through the exploration of the Guadalupe River and Trail. 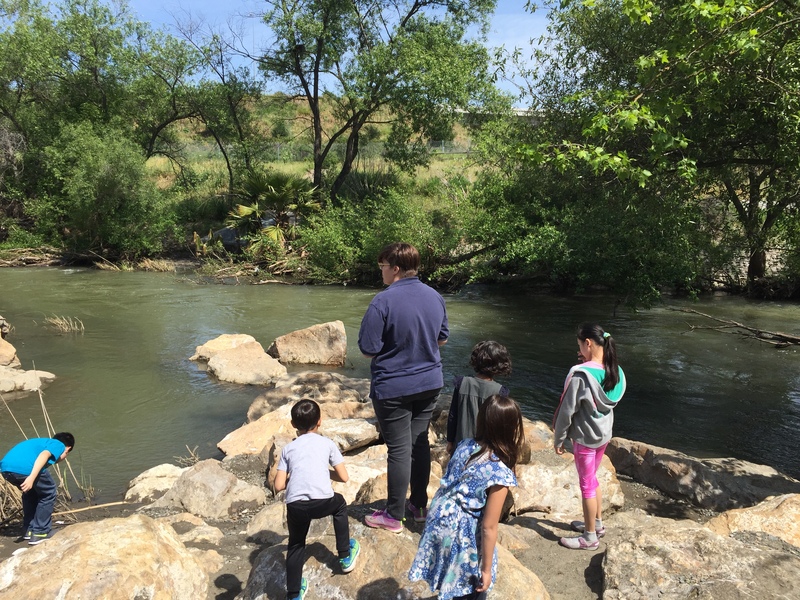 Every River Field Trip includes a Nature Walk along the Guadalupe River Trail and an experiment on the the banks of the Guadalupe River along with grade-specific activities designed to incorporate Next Generation Science Standards. 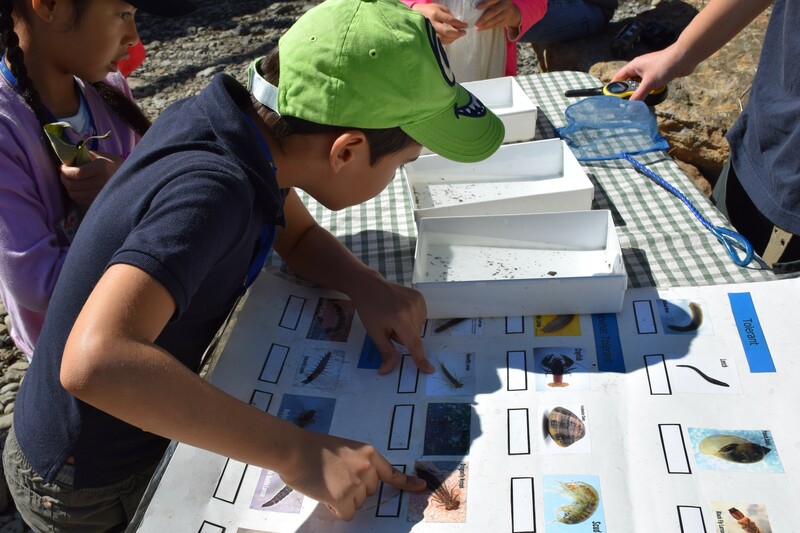 Some examples of grade-specific activities include salinity testing, an obstacle course that mimics the treacherous path of a salmon returning to its home river, and a game that helps demonstrate why birds have differently-shaped beaks. A note about river field trips: In order to protect eggs laid by anadromous species, groups will not be able to enter the river from December 1 – August 30. An activity on the banks of the Guadalupe River will be substituted during this time. If your class is from a Title I school or special needs group, you may qualify for a scholarship! To request a field trip, please visit our Field Trip Request Page and follow the instructions listed. Other questions? Please contact education@grpg.org or 408-298-7657.